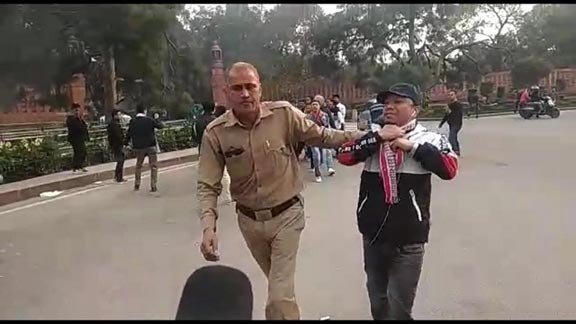 A day ahead of the Parliament session, angry Manipuri agitators thronged the VVIP security zone near Parliament House in New Delhi opposing the Citizenship Bill and set ablaze effigies of Prime Minister Narendra Modi and Union Home Minister Rajnatrh Singh. The move taken by the protestors put the security forces into a tizzy. As many as six people were injured after police used baton charge to disperse the mob of Manipuri agitators. “Police baton-charged the protestors and six of our volunteers received injuries. 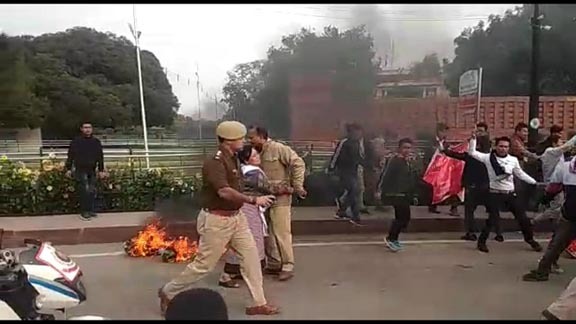 We were detained at the Mandir Marg Police Station for burning effigy of Prime Minister Narendra Modi and Union Home Minister Rajnath Singh,” said Milan, a student leader. Hundreds of agitators opposing the controversial Citizenship (Amendment) Bill, 2016 registered their protest in the national capital demanding scrapping off the Bill. 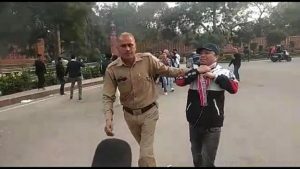 Earlier, volunteers from different Manipuri organisations in New Delhi staged a protest demonstration opposing the Bill. “We demand immediate withdrawal of the Bill which threatens the identity of our own people,” said Milan. It may be mentioned that the Citizenship (Amendment) Bill, 2016, which was passed in the Lok Sabha on Januaey 8, 2019, seeks to amend the Citizenship Act, 1955 to provide citizenship to illegal migrants, from Afghanistan, Bangladesh and Pakistan, who are of Hindu, Sikh, Buddhist, Jain, Parsi or Christian extraction. The Citizenship (Amendment) Bill, 2016 is yet to be introduced in the Rajya Sabha where the ruling NDA has no majority. Massive protests have been going on across the Northeast against the Bill.